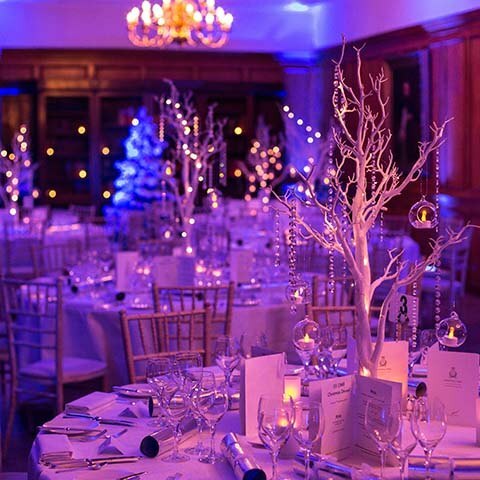 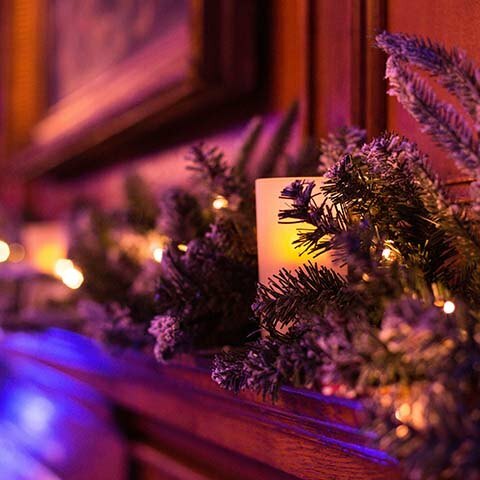 Our client approached MGN events back in September requiring full event management and consultancy to design, organise and produce their annual Christmas Dinner for senior managers and their partners. 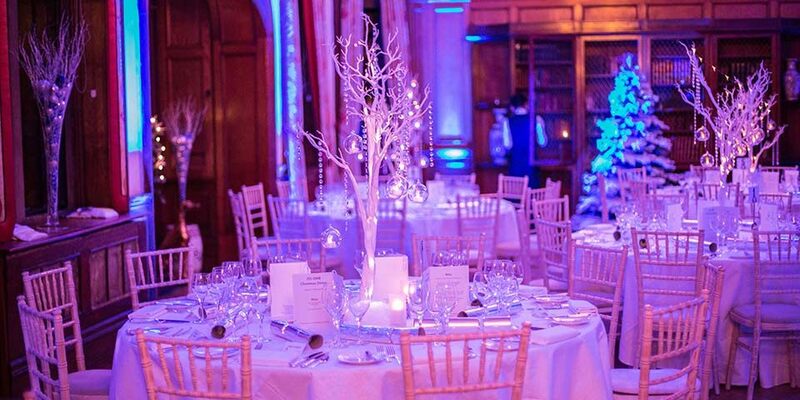 The client supplied us with a brief that they desired a 5 star spa venue located near the M25. 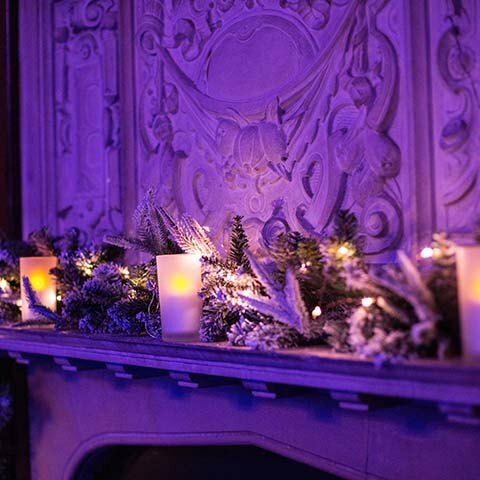 The schedule for the day consisted of a day meeting, ladies spa day, “Winter Wonderland” themed private 5 course dinner followed by cheese and port tasting. 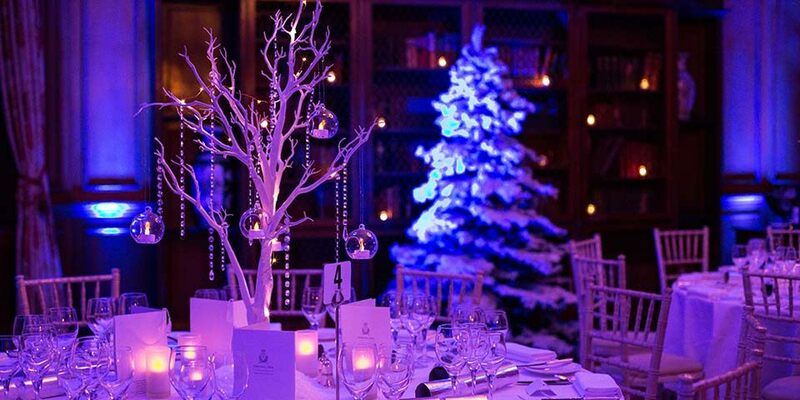 Once we established our client’s requirements, we began our search for the perfect venue. 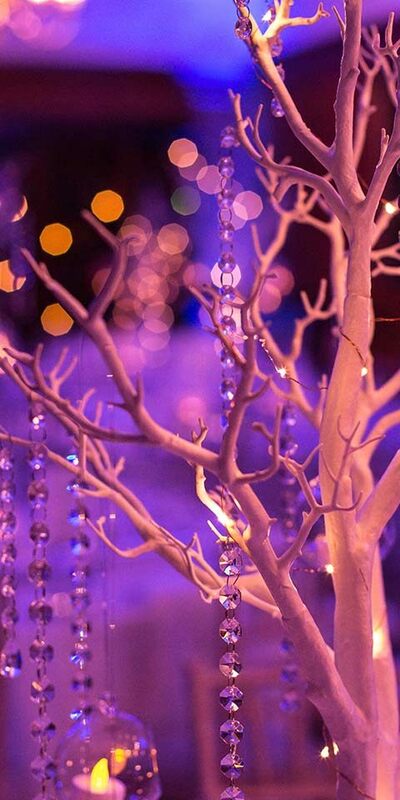 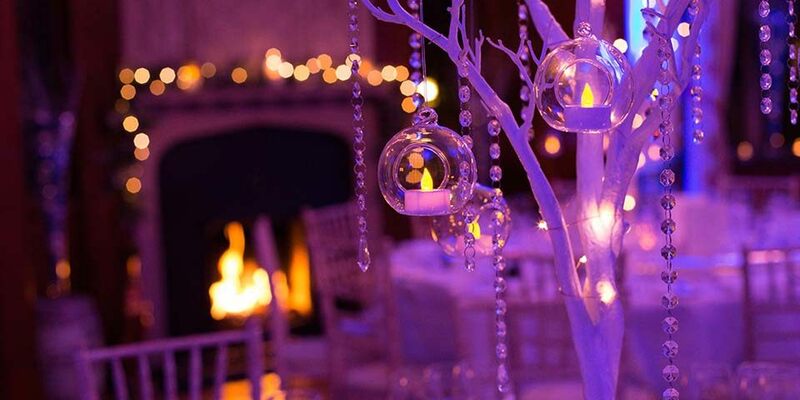 White twig trees with LED tea candles hanging in the trees in glass balls & hanging crystals. .
White flocked tree garland and LED Lights covering the fireplaces.